Découvrez la beauté sauvage des régions rurales du nord de l’Angleterre lors de cette excursion de 8 heures dans les North York Moors et à Whitby au départ de York. Explorez la ville médiévale de Helmsley, où se trouvent des boutiques pittoresques et un château médiéval. Plongez dans le parc national des North York Moors pour une vue panoramique sur la campagne vallonnée. 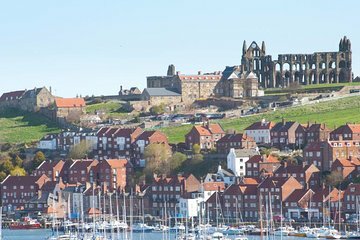 Imprégnez-vous à votre guise de l’atmosphère du bord de mer de Whitby, par exemple en visitant l’abbaye de Whitby, le port ou le musée Captain Cook. Visitez le Hole of Horcum sur le chemin du retour et profitez de toute l’attention de votre guide lors de ce circuit en petit groupe, limité à 16 personnes. Optez pour un trajet optionnel en train à vapeur sur le North York Moors Railway ou visitez la gare de Goathland, le lieu de tournage de la gare de Pré-au-Lard dans les films Harry Potter. Really enjoyed our day with Chris. Wonderful views and commentary though out the entire day. We enjoyed the steam train from Whitby very much. Highly recommend this tour. Our driver Chris was so knowledgeable about history, local custom, geology, farming. He seemed to have a command of eveey subject. He was also a great driver. His navigation of tight areas was amazing. Would not hesitate to take another tour with him. This tour is just brilliant. OMG the scenery is awesome. Our guide Mark was super. So much to see and do. Whitby is stunning and we opted for the steam train ride to Goathland which I highly recommend. Definitely would do this again if we went back. Had a wonderful day - Whitby especially was spectacular! Even when overrun with tourists, this seaside town is full of atmosphere. 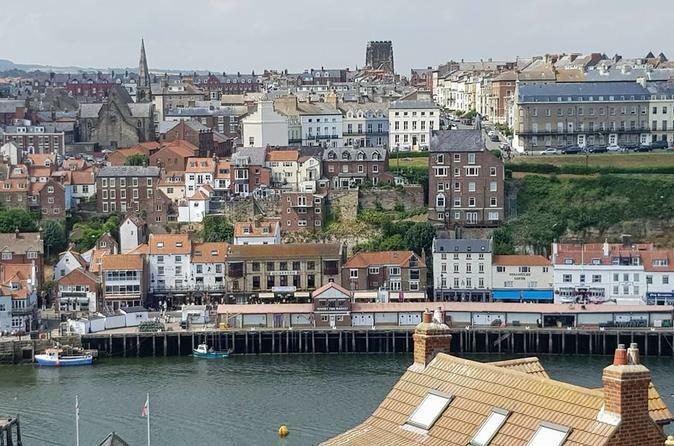 Walking up the 199 steps to Whitby Abbey and admiring the views of the town below, listening to the seagulls and the wind gently blowing. Loved it! Superlative. Our tour guide was the best--funny, informative and well organized! Just spent 17 days in the UK visiting Wales and the Yorkshire area. The trip to Whitby was the highlight of the trip! Our guide graciously asked the bus driver to drop several of us at the Abbey and let us walk down. It was fabulous. We got to see the Abbey and still had plenty of time to see the town of Whitby. Highly recommend this tour. This tour was exactly as described on the website. The tour guide, Mark, was excellent and provided interesting demographics about each town we traveled through. First visit to this part of England. Beautiful scenery . Our driver and guide Chris was excellent . The Steam train was a bonus the children loved it. The trip into the North York Moors was the highlight of my two weeks in the UK. Every view was a picture postcard. It felt like you were on top of the world, looking down into the valleys below. I will visit this beautiful part of England again!